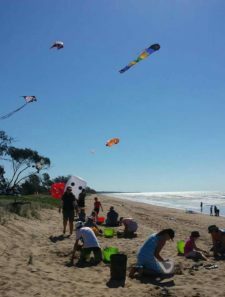 Bundaberg is only 1.5 hours drive south from Agnes Water and 1770, and offers a great variety of events that you can incorporate into your Agnes Water / 1770 stay. Most of these events in Bundaberg are annual – so be sure to double check the dates! 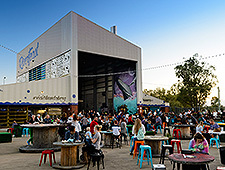 Friday nights at RiverFeast come alive on the Burnett River with the transformation of Bundaberg’s old Marine College facility into a lively, family friendly entertainment precinct. RiverFeast hosts a variety of food vendors offering unique and sumptuous cuisines and a select group of retail stalls to wander through. Food choices are ever changing, but rest assured there is something on the menu for everyone. Come along and enjoy the local region’s craft beverages (softdrinks, beers, spirits and ciders), great live entertainment and relax in Bundy’s biggest beer garden by the river. 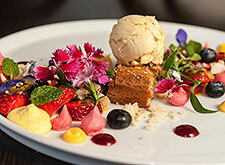 Check out our website www.riverfeast.com.au or find us on Facebook and Instagram. The Bundy Easter Roundup is a well established weekend event of Country Music and with on-site camping in a quiet bush setting situated in close proximity to many local tourist attractions. The talent search is open to non-professional performers of all age groups. Bring your own chair and enjoy two and a half days of non-stop, family entertainment in a large indoor area, with professional sound, meals, refreshments and raffles. Camping, powered and unpowered sites are available. There will be hot showers and disability access to facilities and parking. Call 0409 470 558 for more information. COME ALONG & ENJOY A REAL COUNTRY SHOW! There will be free entertainment all weekend for the kids, with a pavilion full of arts, craft, cooking, plants & veges. There are cane exhibits, horse events both days, Prime & Stud Cattle and a young judges & paraders competition. On saturday evening, enjoy the Young Farmers Challenge and the evolution Twilight Woodchop. Brendan Egan will be providing the music for the evening! On sunday, don’t miss the Ute Muster, woodchop, poultry displays, Junior Farmers Challenge for the kids, Horse events and plenty of free entertainment for the kids! For more info visit the ginginshowsociety.com.au or call 0407 572 484. NAIDOC week is a nationwide celebration of Indigenous tradition and culture and in Bundaberg they offer a week full of events for people of all ages and walks of life to be involved and learn more about one of the oldest living cultures in the world. The Bundaberg and District Committee invites both Indigenous and non-Indigenous people to join in to participate in events and march with them as they honour the 2018 National NAIDOC Theme: Because of her, we can! The Childers Festival is the only festival in Queensland that stops a highway by closing the mighty Bruce Highway! 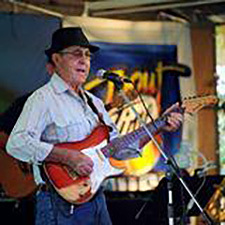 The festival transforms the highway into a gigantic food, market stall and entertainment hub, all staged between the heritage listed buildings and leopard tree lined streets of Childers, just 40 minutes west of Bundaberg. With free admission both days, the event kicks off on the Saturday afternoon from 2pm with a street party and lively bands performing well into the night. The main festival day, which closes the Bruce Highway is on the Sunday, kicking off from 9am to 3.30pm and features five stages of non-stop music, hundreds of market stalls and a smorgasbord of food from all over the world. The 2018 race will take place on Sunday, August 5th. All runs finish at the beautiful Coral Sea at Neilson Park, Bargara. Proceeds from the race assist local charities such as the Bundaberg Surf Club, Cancer Support Groups and Ronald McDonald House. The Moore Park Beach Arts Festival features a seaside view of a relaxed pleasant country lifestyle and approximately 20 kilometres of beautiful golden beaches. Enjoy a family friendly festival day – you set the pace on how much or little you do. The festival is based in Moore Park Beach, Queensland – which, includes: Art exhibitions, Live entertainment, Workshops and Fun activities for young and old. The Mon Repos Conservation Park, within the Southern Great Barrier Reef, supports the largest concentration of nesting marine turtles on the Eastern Australian mainland and has the most significant Loggerhead turtle nesting population in the South Pacific. Visitors can witness nesting and hatching turtles over the summer months on Mon Repos beach, however turtles are easily disturbed if proper turtle watching guidelines are not followed. The Mon Repos Turtle experience operates nightly during the Turtle Season. 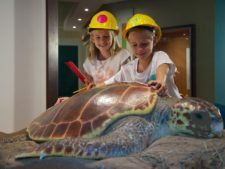 You have the opportunity to see nesting turtles from November through to January and hatchlings January through to March. It is an amazing sight to see the turtles venture up the beach to find a safe spot to dig a nest and lay their eggs. And then, if you are lucky, to come back six to eight weeks later to see the baby hatchlings take their first swim in the ocean. Bookings close promptly at 4pm daily. Discover the region’s Christmas spirit by taking part in Bundaberg Regional Council’s annual Pageant of Lights on Thursday 6th December 2018.There are opportunities for you to enter the parade, run a stall or just to sit back and enjoy the entertainment.Successful parade participants could go home richer, stallholders go home smiling, and we can guarantee all go home happy, having been part of Pageant of Lights. For more information call 1300 883 699.